LG has gone ahead and has had the LG G7 ThinQ launched in an exclusive event held in New York. Hence we now have much more specifications and details about the LG G7 ThinQ. One of the main highlights of the LG G7 ThinQ is the camera. The camera is a major upgrade when compared to the LG G7. The camera also has a ton of features to enhance the overall photography experience of the phone. Also included in the LG G7 ThinQ camera is an Artificial Intelligence essence that enhances the 16MP cameras on the rear. With the many equipped features, the camera is capable of 19 shooting modes and uses the AI algorithm to combine pixels for better results. Also supported are features like Live Photo, Portrait Mode and 3D stickers that use facial recognition. The screen is also a very important aspect of the LG G7 ThinQ. The front has very thin bezels, and the screen has a 6.1-inch FullVision screen with a 19.5:9 aspect ratio. 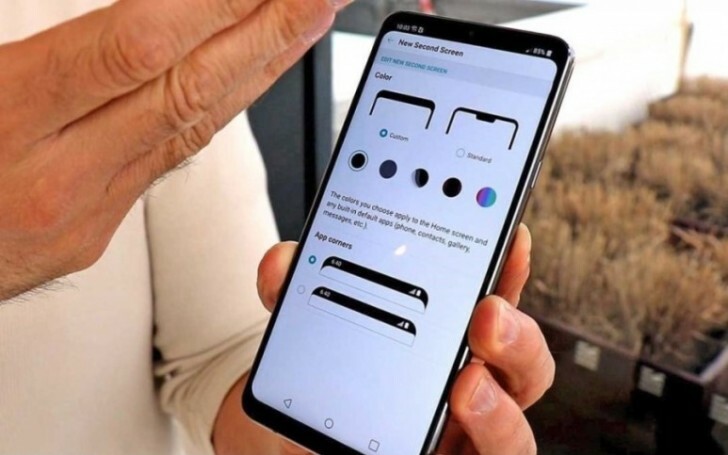 The screen also utilizes a Super Bright Display technology that has the capability to achieve high brightness in a very low capacity of 1,000 nits, which is a full upgrade from the LG G7 OLED display. Another interesting aspect of the screen is the different colour modes that include Expert, Auto, Sports, Eco and Game. These different colour modes can give out the perfect screen and colour resolution while minimising battery consumption as well. When coming to the body and hardware, the screen is covered with Gorilla Glass 5 resolution. Even the back is made of glass and hence supports wireless charging. The phone is IP68 certified and is water and dust resistant. The phone has also passed all 14 tests of MIL-STD 810G. As soon as LG had the LG G7 ThinQ launched, a feature that was very well looked forward to is the dedicated key that activates the Google Assistant and the Google Lens. With this button, a single press can activate the Google Assistant while a double touch will bring up Google Lens. This button can be seen parallel to the Bixby button found in Galaxy phones. About the availability of the LG G7 ThinQ, the phone will be launched in Korea soon, while it will be made available in countries like Europe, North America and Latin America in the coming days. The phone is available in Aurora Black and Moroccan Blue.